Clip showing the start of ESA’s Swarm mission. 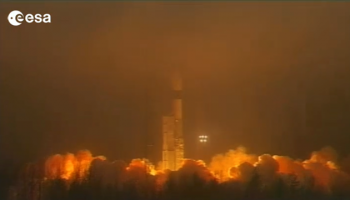 Lift off took place at 13:22 CET, 22 November, 2013, from Plesetsk, Russia. 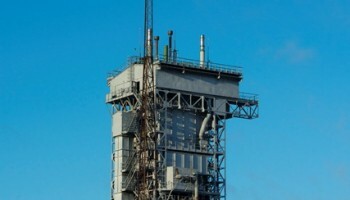 Launched on schedule at 13:02 from Plesetsk. Good luck for the rest of the journey into orbit! Live check via voice loop from the Main Control Room at ESOC. GOM Sam Peterson is speaking with tracking stations at Troll, Svalbard and Kiruna. 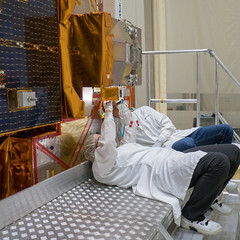 ESA’s Swarm satellites set for lift off in less than 3 hours. News just in 18:30 (CET): the Rockot launcher is now fully fuelled – ready and waiting to take the three Swarm satellites into orbit. 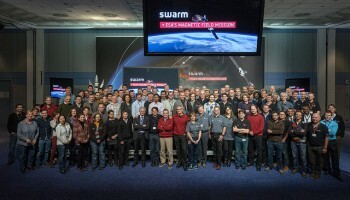 Find below an outline timeline for the launch of Swarm on 22 November 2013. See notes below table for details. All times subject to change. Follow launch live via ESA TV, starting 11:45 CET.